...but strive for a place you have never been. 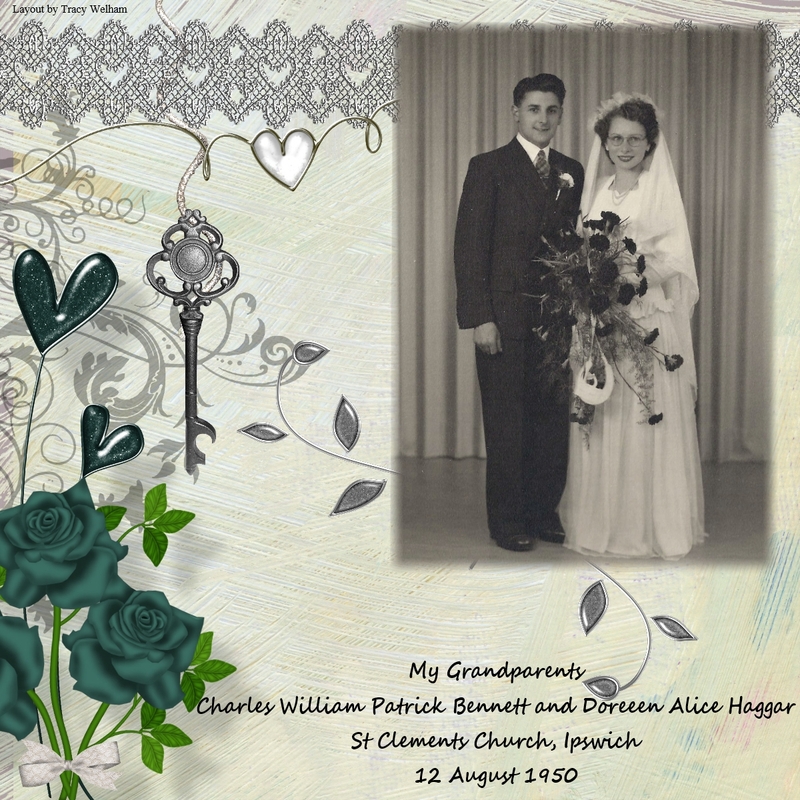 This my second family tree scrapbook page, you can see my first one here. I borrowed this photo of my dad's parents and scanned it. I decided to leave it as the original in black and white but used my Serif Craft Artist programme to embellish it. The digital embellishments are from various different kits. It's supposed to be a hot one in the UK this Bank Holiday Monday, it you are out and about how a lovely time and take care. 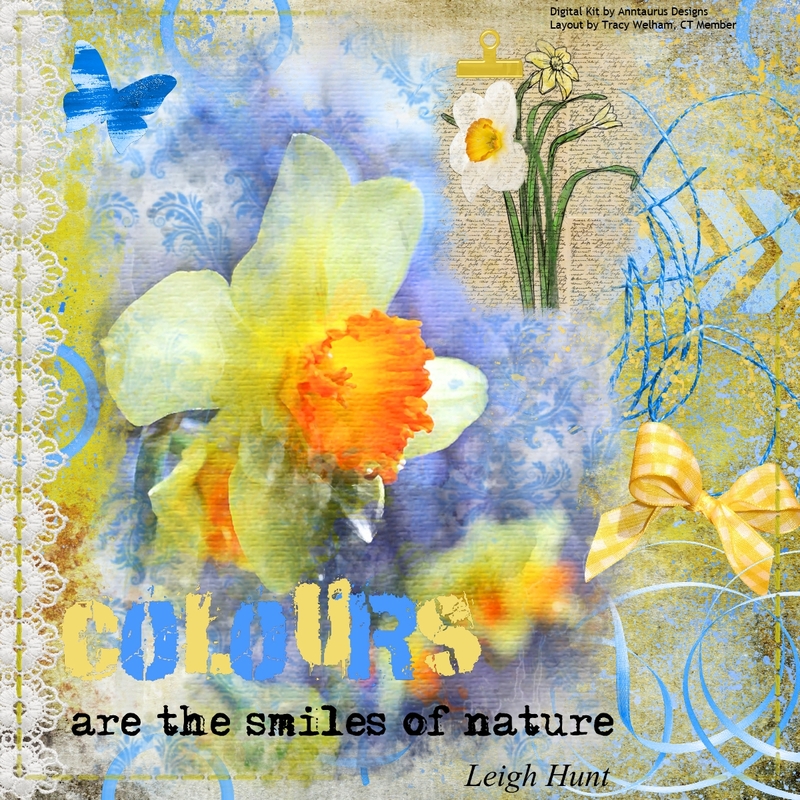 This is my third share using the Golden Daffodils kit from Anntaurus Designs. 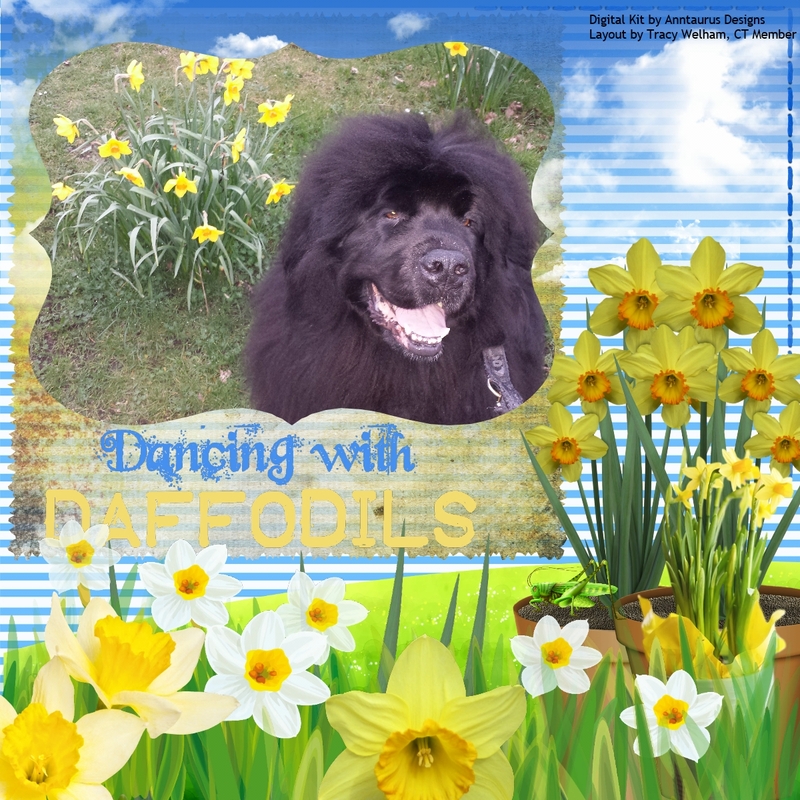 I used this cute photo of my Newfoundland, Fergus posing next to some daffodils in the local Nature Reserve. Today I am sharing another page using the Golden Daffodils from Anntaurus Designs. This time I have made a mixed media style piece. Little behind with my commenting on your blogs as I have been plagued with migraines since Friday. 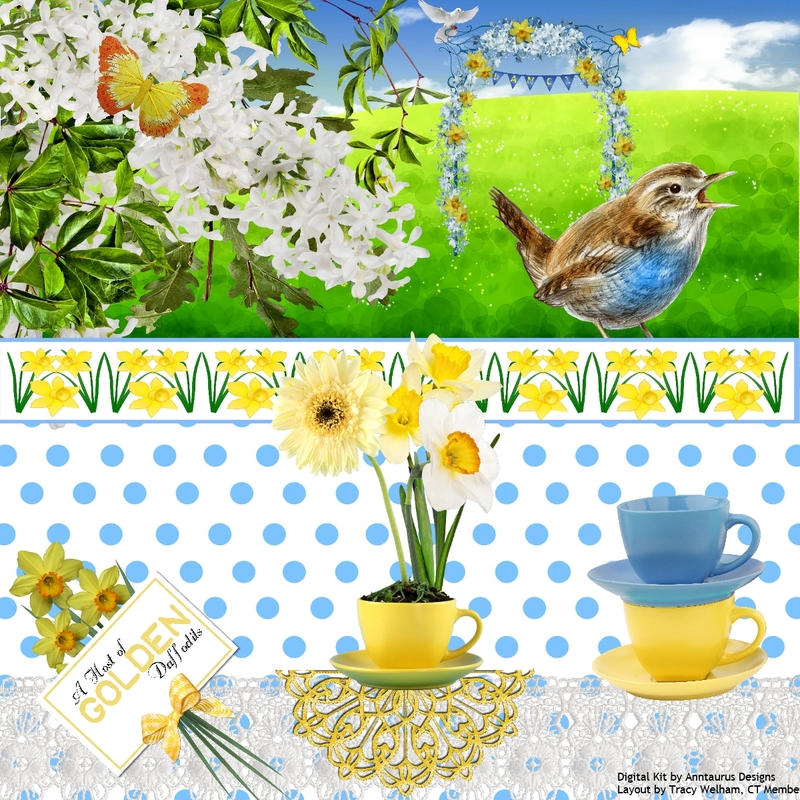 As Spring seems to have sprung it seems very appropriate to be sharing this kit from Anntaurus Designs, Golden Daffodils. I have used the kit to create a view from a cafe window. Don't forget, if you sign up to the newsletter you will get free digital papers every month.